South African side Mamelodi Sundowns have booked their place in the semi-finals of the CAF Champions League after beating Zamalek 1-0 at the Lucas Moripe Stadium. Ali Gabr’s own goal in the 79th minute saw Sundowns seal the win and clinch the three points to win the group. 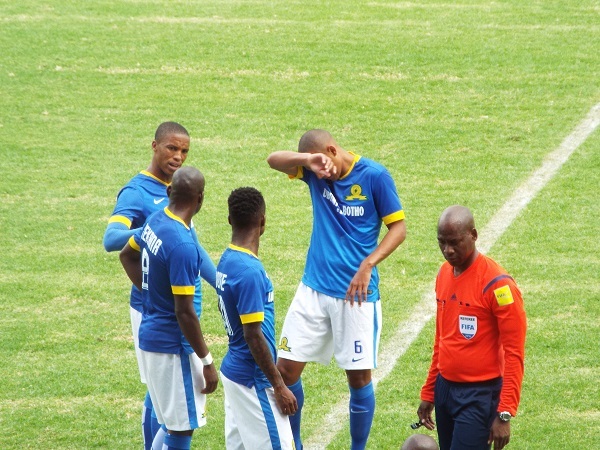 Zimbabwean international Khama Billiat started for Sundowns and came close to scoring in both the first half and second half but was denied by Zamalek goalkeeper Ahmed El-Shenawy. Sundowns have made their second chance fully count winning their three group games and will now meet either Wydad Casablanca or Zesco United in the semi-finals.